We love being active together as a family. Vancouver offers plenty of recreational activities for families to have fun together. However, some of the activities can come with a big price tag, either for equipment or admission fees. 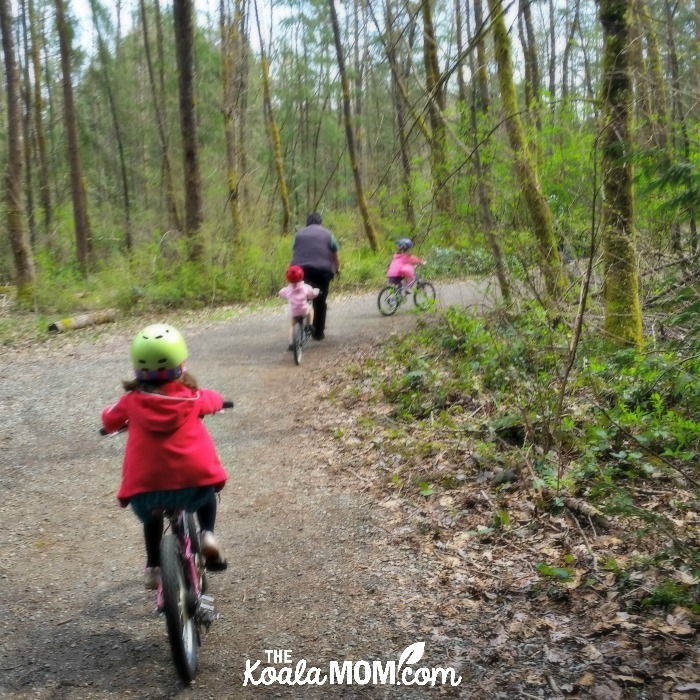 If you’re looking for ways to stay active together this summer, here’s a list of free or low-cost recreational activities around greater Vancouver. Swimming is one of our favourite low-cost recreational activities around Vancouver. 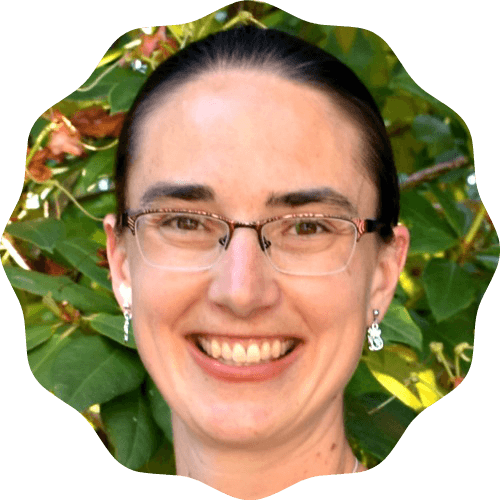 For a family of seven, however, swimming admission can add up quickly. We’ve gotten to know our local pools and often drive a bit further to save some money on the swim price. Canada Games Pool in New Westminster has a dollar swim on Sundays from 11 am to 1 pm. You can arrive at the pool anytime between those hours and pay only $1 per person over age 3, and stay as long as you want. We often show up at 12:55 pm (after Mass) and stay until 3 pm. Kids are not allowed in the hot tub here and the 2:1 child / parent ratio is enforced. Public swim may be cancelled if there’s a swim meet happening. C.G. Brown Pool in Burnaby also has a dollar swim on Friday nights from 6:30 until 8 pm. You’re given a wrist band with a specific colour and life guards will kick you out at 8 pm when the swim ends, so make sure you show up at 6:30 to make the most of the swim. Parent child ratio here is 3:1 but the showers get busy at the end of the swim. Hume Park Pool and Moody Park Pool in New Westminster are free on weekends. Hume Park is a little, old pool but it’s located conveniently close to a playground, splash park and tennis courts (for more fun before or after swimming!). Moody Park Pool is larger, with a fancy new change room and lane swimming options. New Westminster pools also have a 2:1 child to parent ratio. Rocky Point Pool and Westhill Pool in Port Moody have a toonie swim every night from 6 to 8 pm. There is a 2:1 parent child ratio enforced here as well. The Rocky Point Pool is deep for toddlers (Jade was able to just barely stand up this summer at age 5) so two adults and some floaties are recommended. The Westhill Pool has a great toddler pool next to the big pool. Both of these pools have outdoor showers so we usually just rinse quickly after swimming. 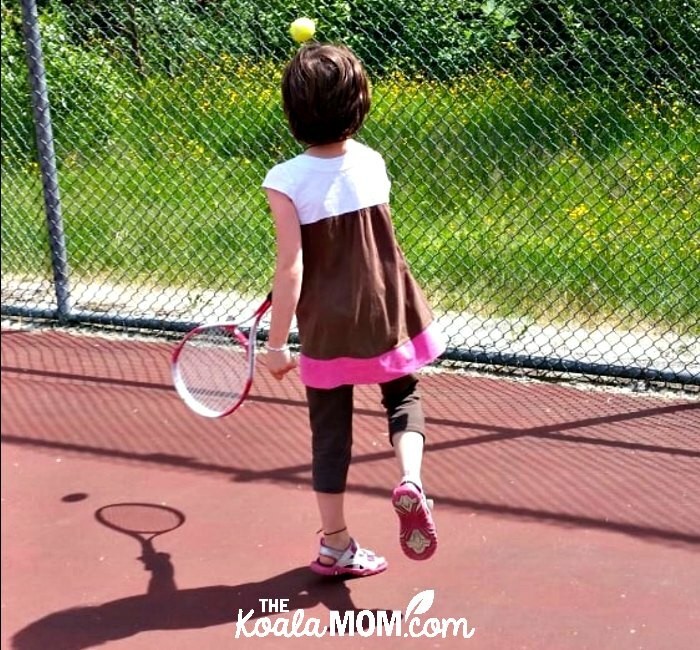 Tennis courts are located close to many parks and recreation centres throughout greater Vancouver. The courts themselves are free to use. You can pick up tennis rackets and balls for a few dollars at thrift stores or secondhand sporting stores. One of our favourite free recreational activities around Vancouver is going for a hike. 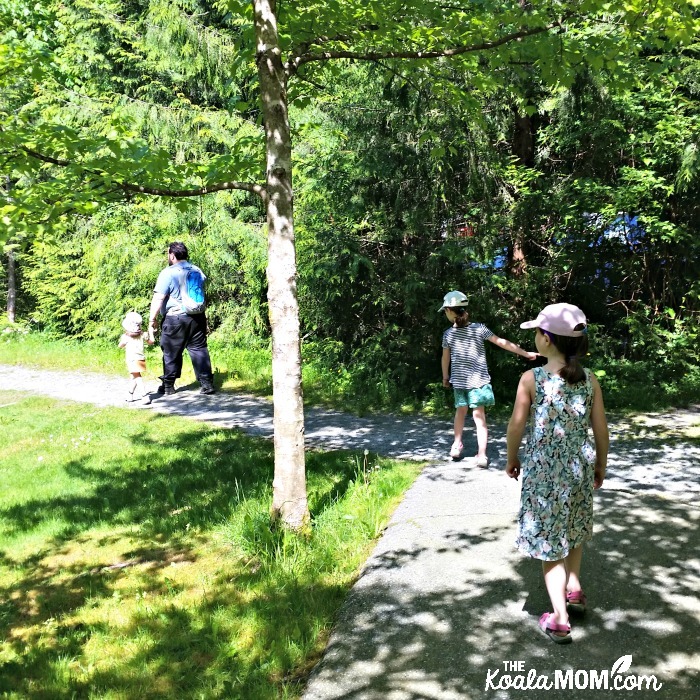 There’s a wealth of family-friendly hikes around the lower mainland, accessible for a variety of ages and abilities. You can find hikes that are stroller-accessible, or that offer great destinations such as beaches and viewpoints. Pack snacks or a picnic to keep the kids going. Inviting friends along also makes for a great hike! Disc golf is on our list of things to try this year. All you need is a few frisbees and you can play at several parks around Vancouver. You may want to put your names on your frisbees before starting the course, in case they get lost. If kids are having troubles throwing frisbees, form teams or play for the most points instead of the fewest. 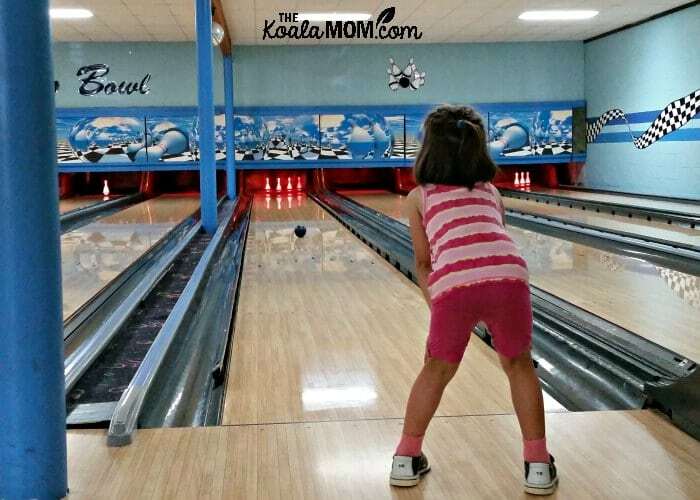 Register at KidsBowlFree.com to get your child two free games of bowling each day, all summer long. Bowling shoes and parents’ games aren’t included in this price. We’ve taken the kids and just let them bowl while we coach and cheer. Lanes are on a first-come, first served basis and may not be available on weekends. We are looking forward to doing more biking this year, now that Joey is old enough to wear a helmet and ride in a bike seat. We’ve found most of our bikes secondhand or even for free (watch your local used website!) and gotten helmets on sale. (Bike accessories also make great birthday presents!) Plus, biking is a great way to reduce what we spend on transportation (as gas prices rise this summer!). You can find deals on Groupon for kids sports. I’d recommend setting your budget before looking at Groupon. When you purchase a Groupon for a specific activity, plan when you’ll do it. While Groupon honours the value that you spend on it, the promotional value expires so you won’t get the same deal if you forget about it or get too busy to use it. Kidsworld offers passes to a variety of Vancouver attractions for one low price. The pass is for kids ages 4-12 and allows that child to attend an event or visit an attraction for free, along with one accompany adult. Kidsworld 44 offers one event event per week from September to June. Kidsworld Summer offers one event per day for July and August. 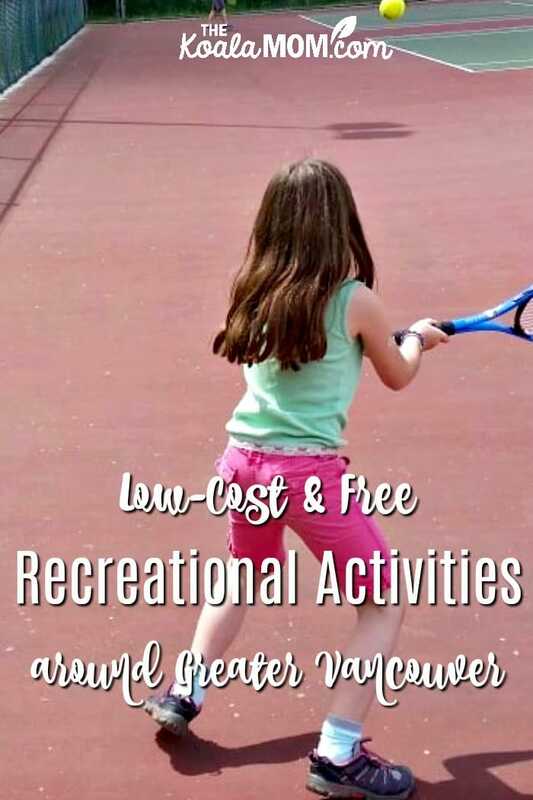 Check your local rec centre guides for more low-cost activities around greater Canvouer. Many of the rec centres and cities offer special seasonal activities at reduced rates. Some cities offer an affordable summer pass that gives you access to a variety of activities over the summer for one fee. Look for ads on the city website or at the rec centres. 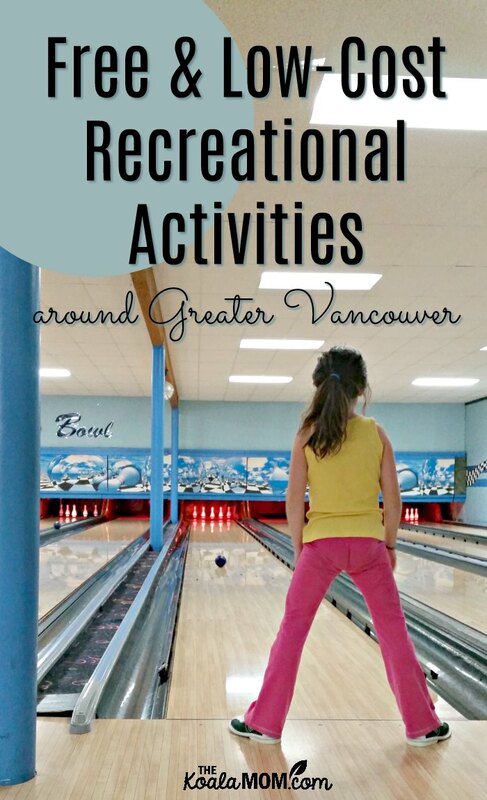 What low-cost or free recreational activities around Greater Vancouver would you add to this list?